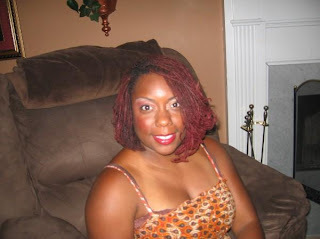 For those of you that have been following my blog know that LaMonica was my inspiration for getting Sisterlocks. Well let me show you my girl's new do...it is so FIERCE!!! Nice new cut and color! Her hair looks fabulous. I love the red. WHOOAAA! Her bob is fierce! Loves the cut and color. I love the cut but I don't really like the color. She is beautiful nonetheless!!! All I can say is GORGEOUS. I love it! Also, you may have been tagged before since you have been doing this a while now. If so, sorry. If not, consider yourself tagged. I Love the cut & color!!! Your hair is soo beautiful. What color is that I may try to steal the whole look, too cute! Golden I love your blog, always something new. Please blog more I am always eager to see what you are doing next. I love the cut and color on her. She looks like a new lady. I love her cut & color. You two are rock'in your sisterlocks. This is so hot! I have lock envy. I have the puffy sisterlocks that won't really lock yet. Anyhow, I would like to know did she use a flat iron to achieve this look? Wow! Beautiful. I hope you DIDN'T have to use a flat iron to get the look. 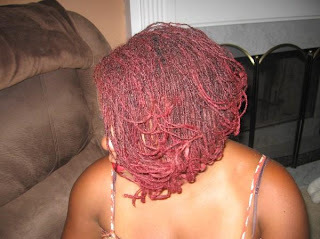 I would imagine that if your locs were groomed and you set the ends on large rods you could achiedve the look! I know I am tripping but I could have sworn I saw Lamonica in a movie. The choir scene in Tyler Perry's movie" Family that Preys". Am I right? Wow she looks great! The color and cut are amazing! Thank you for confirming that for me Golden! I knew it. I told my sister that's the Golden's friend before the hair cut. So I just knew they were going to show her again after the song was over but they didn't so I couldn't prove to her that I was right. 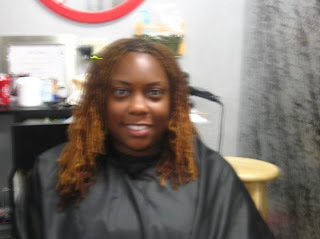 Tell Lamonica that she looks really good and she did a great job and that someone in the blog-world recognized her. Tell her to keep up the good work and I hope to see her in more films. Wow a celebrity! You go girl! I saw the movie over the weekend and I too saw Lamonica in the movie! Cool, fierce and yes stunning! who cut your hair? do tell :>) !!!! Fierce is right. Love it!!!!!!! FIERCE!!! that's the word. I am on that road too. 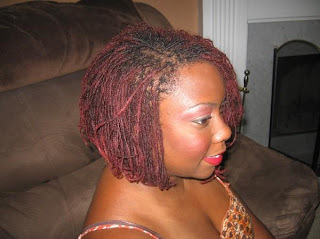 I still got a ways to go though, but ultimately I do want my locs cut into a style & that's the exact cut I want. A dramatic bob cut. Her hair is so gorgeous. Do you mind me asking where you girls go to get your sl's styled? That color is HAWT. Has me rethinking my deep wine I KNEW I should have added a higher developer to my color, dang. 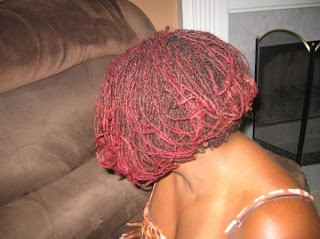 Oh well now I have a color to aspire to when my locks settle..Well after I get them of course!! !